CHENNAI: Born with polio, Madhavi Latha never faced a dearth of love or care from her parents who invested on her as on her siblings. She did her schooling in rural Telangana and also, earned her undergraduate degree and a post-graduate degree in MBA. In 2007, it was found that due to lack of movement and exercise, her spinal cord was compressed, covering one of her lungs, and the doctor told her chances of survival were bleak. She stepped into water not heeding worries of others and found that it was a different world inside it. “Because of buoyancy, I couldn’t feel anything under the water and whatever I could not do on land, I could do while in water. I could walk, and exercise.” From then, she had never looked back. She learned swimming and went on to spread awareness among those inflicted with the disease. Abasketball player and a swimmer, she founded the “Yes We Too Can” initiative – helping train and support paralympic sportsmen. She also participated in the Para-Swimming National Championship and won three gold medals. 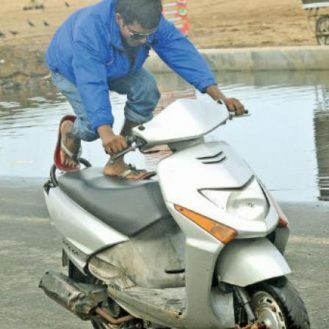 The Paralympic Swimming Association of Tamil Nadu was started in 2011. From four para-swimmers then, it has around 300 para-swimmers from the state. 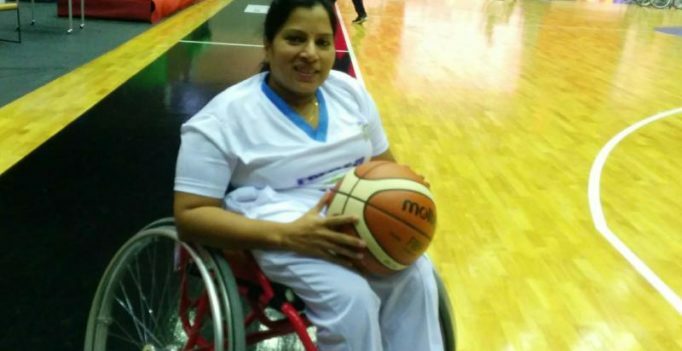 In 2014, she became a part of the Wheelchair Basketball Federation of India (WBFI), aimed at training basketball players on wheelchairs. “We have the support of the International Committee of the Red Cross, who have helped sponsor visits of our these players for international tournaments,” she told Deccan Chronicle. Recently, the paralympic basketball team from India visited Canada to play the U-23 category, for the first ever time. Madhavi acknowledges the lack of participation of women in sports across the globe, and is much lower among para-players, she added. “Because of our efforts, the International Wheelchair Basketball Federation invited us to a conference in Japan in June 2016, where we got to interact with a number of people. We were also invited to send in applications for the Women’s paralympic training camp that would be held in Thailand this year,” she added. Madhavi said that the state and central governments have been instrumental in lending help to the teams, but a lot more needs to be done. “Till date, we are importing wheelchairs needed by players on the para-teams because we don’t have them available in the country. Also, there is a huge potential in the 8 – 10 % of the Indian population that is differently-abled, which needs to be acknowledged and tapped,” she said.